The Internet Bible Catalog » List of English Translations » Banfield, R. B. Contents: New Covenant. Appendix: "Notes about this translation"
Comments: Softcover large octavo; adhesive binding; 458 pp. Scripture text in single column verse–wise, chapter and verse numbering in the outer margins. OT quotations printed in italics with references shown in text. No extras. 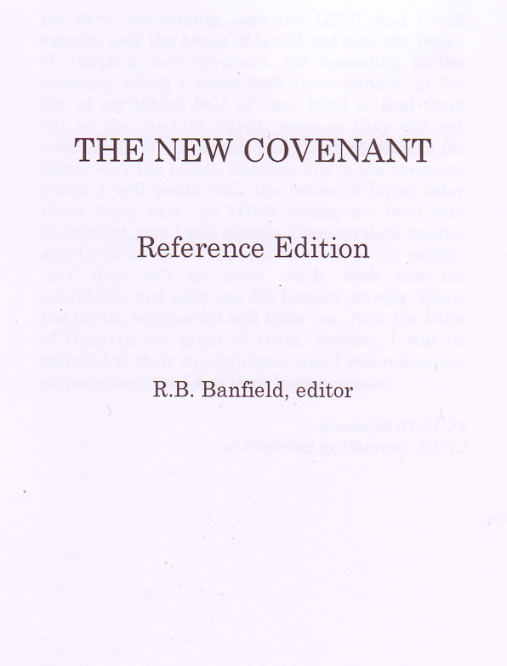 R. B. Banfield inexplicably does not give any information about the Greek text he used. Examining the text reveals that he obviously used the “critical“ Novum Testamentum Graece by the UBS, not the “Textus receptus“ or the “Majority Text“. Proof is that Mat. 17:21 and Rom. 16:24 e.g. are not inserted; on the other hand the longer ending of Mark (16:9–20) is presented without brackets; the story of the unfaithful woman, traditionally located in John 7:53 – 8:11, is moved between Mat. 22:22 and 22:23. This is a computer generated New Testament Book. It does not breathe the flair of a Bible book one loves to read, but there are other ones of inferior printing quality. 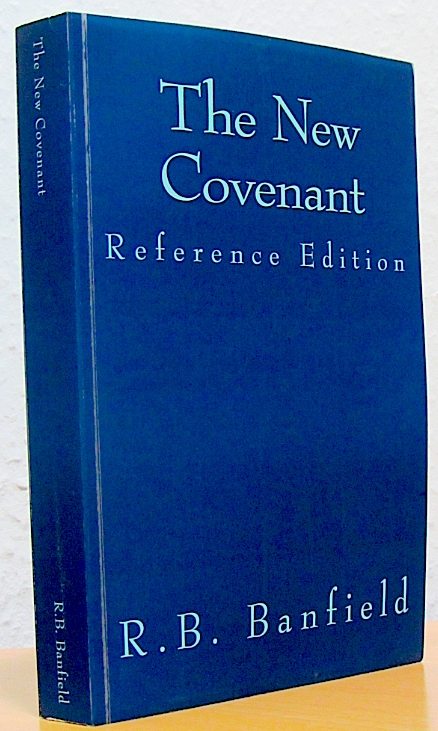 Note: There‘s another edition of the same New Covenant without verse numbering and references. It is also available in digitized e-book format.